In December 2017, the Puget Sound Clean Air Agency (PSCAA) installed a fine particulate air pollution monitoring station in Lake Forest Park near the intersection of Bothell Way and Ballinger Way. 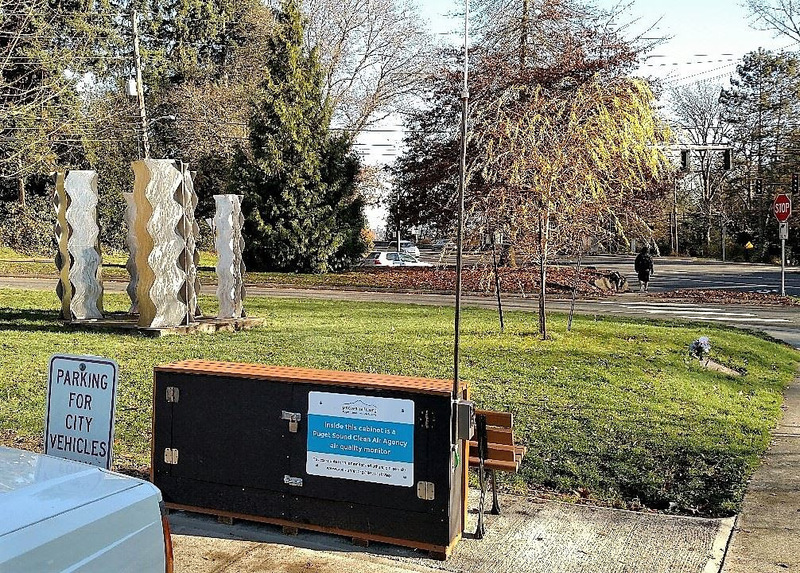 The monitor is partially disguised as a Park Bench with a moderately sized box behind it that contains the monitoring station equipment. The station primarily monitors fine particle pollution (PM2.5) that is often a byproduct of wood stove and vehicle exhaust. PSCAA is interested in collecting data throughout the Puget Sound to better understand air quality and its health risks. How do I see the data going back before yesterday, if I wanted to see when air quality is at its worst and for how long?